Every day I get alerts on new articles, blogs and books on employee engagement. I expected that, at some point, the content would start to slow down vs. grow, but it has not happened. There seem to be endless conversations about this topic, and you’d think that employee engagement is some sort of state of nirvana. With all this happy talk about engagement, there needs to be a contrarian voice. Here are a few things to think about that do not show up in most employee engagement articles. Once upon a time there was something called a job for life. Along with the job for life came a relic called a pension. For those of you who can’t remember what a pension is, it’s a guaranteed monthly income, usually accompanied by health insurance, that stays with a former employee during retirement. Oh, retirement? That’s something people used to be able to do when they worked in the job-for-life company. The deal was a job for life in exchange for loyalty. But, this happy story did not last too long when the economy came crashing down. Companies were hit by global competition, new entrants to their markets and poor economic conditions. That meant costs had to be cut, and people had to go. Layoffs, downsizing, and RIFs (reduction in force) were the new buzzwords. Things had to change. The mantra moved from jobs for life to the “new employment contract.” Why would an employee want a job for life when the world out there is so exciting and he/she could hop from company to company, develop skills and be happier? I worked in HR during this transitional time, and I started teaching HR in the universities then. I was one of the people teaching the young about the new world where they should not worry about their job for life. Not only can they move from firm to firm, but also they can become entrepreneurs and be in charge of their own careers and lives. Taking away jobs for life meant corporate labor expenses were reduced, and when the economy recovered, sales and profits started to increase while costs were minimized. And the new employment deal, with employees hopping and organizations doing layoffs, did reduce expenses. However, the other half of the equation — the no loyalty part — was starting to take its toll on organizations. Leaders realized they didn’t want everyone to leave; they wanted the best people to be loyal and stay. The employees, however, were doing OK with the new deal. We taught them well; these new deal employees had no reason to be loyal to one company. They watched their parents lose their jobs, and some of them are now financially supporting their parents. But what should leaders do? They don’t want to go back to jobs for life, and they remember the days of the economic decline. Employers want it all: loyalty, love and the ability to lay off (the three L’s). Now comes the part of the story where the good fairy employee engagement swoops in. It’s a magical tale. Employees should start going “above and beyond” (whatever that means), become emotionally and positively attached to their organizations, and they should do all this for pretty much nothing in exchange. These people, who are under the new employment contract, will be super employees, love their companies and be engaged — just because. My favorite quote in all the employee engagement articles was published in Fortune. It’s titled No Employee Left Behind, and in it, Randall MacDonald of IBM states: “Soon we’ll be talking about marrying all those employees to whom we’ve engaged.” It’s like the prince rescues the princess at the end of the story. Engagement and marriage — all is happy. Is this what’s needed to grow, innovate and be successful? People show up at work? That’s why engagement is starting to backfire. Being there is not enough. 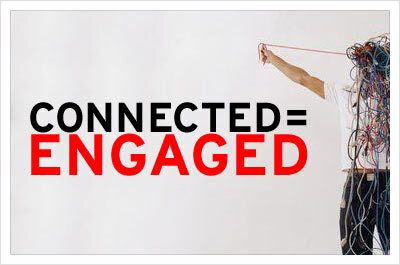 Engagement has to mean something tangible vs. everything to everybody. The questions, “engaged in what” and “for what” have to be answered. Engagement just may be the wrong word, the wrong concept and it’s probably the wrong time to keep focusing on it. Business is about performance, and high performing people are needed to grow a business. High performing people are smart, and they are not easily fooled. It’s time to go beyond the fairy tale of employee engagement and move to a more rigorous, business-focused approach to managing people at work. Theresa M. Welbourne, PhD, is the FirsTier Banks Distinguished Professor of Business and Director of the Center of Entrepreneurship at the University of Nebraska, Lincoln. She is also the founder, President, and CEO of EEPulse Inc., a human capital technology and consulting firm in the energy business -- optimizing and directing human energy for growth and innovation. She also is an adjunct professor with the Center for Effective Organizations at the University of Southern California. Theresa was awarded the 2012 Academy of Management Distinguished HR Executive Award (for contributions in research, teaching and practice). Contact her at theresa@eepulse.com .